If you prefer, you can download the foster agreement and fax the completed application to 586-710-6880 or email to tigerlilyrescuecats@gmail.com. I agree to provide a safe, healthy and loving environment for cat(s) and/or kitten(s) placed in my care. I understand fostering may be a short or long term commitment. If I can no longer foster for any reason, all fosters will be returned to Tigerlily Cat Rescue. I further understand they will make every attempt to take fosters back as soon as possible, but the timeframe may take up to 2 weeks. I agree to provide approved food, fresh water, clean litter and socialization for all fosters in my care. Tigerlily Cat Rescue will either supply the food and litter or reimburse for purchases. Receipts must be provided. I agree to keep all fosters indoors only. I agree to provide transportation to adoption events and veterinary appointments. 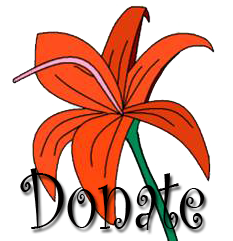 I agree to contact a Tigerlily representative if a foster is in need of medical care, and take the foster to an approved veterinarian. I also agree to make every attempt to contact Tigerlily in the event of a medical emergency. I understand Tigerlily Cat Rescue is responsible for all approved medical bills. I agree to accept financial responsibility if I obtain treatment for a foster without approval - unless a matter of life or death. I agree to follow any instructions regarding the care of my foster(s) such as medications, a special diet, etc. I agree to quarantine all fosters from personal pets for at least 10 days, and understand Tigerlily will not reimburse for any medical bills should any personal pets become sick from a foster. I also understand that I will need to routinely disinfect. This will include washing food/water bowls, litter pans, any bedding and carriers, and wiping or spraying surfaces (with a bleach mixture or Lysol type cleaner) fosters come in contact with. I understand the foster is property of Tigerlily Cat Rescue, and can be removed from my care at any time for any reason. I understand Tigerlily Cat Rescue will have the final decision on adoptions taking into consideration my suggestions. I agree to hold Tigerlily Cat Rescue harmless for any illness, and/or injury, and/or damage inflicted upon any person, property or personal pets during my time as a foster.